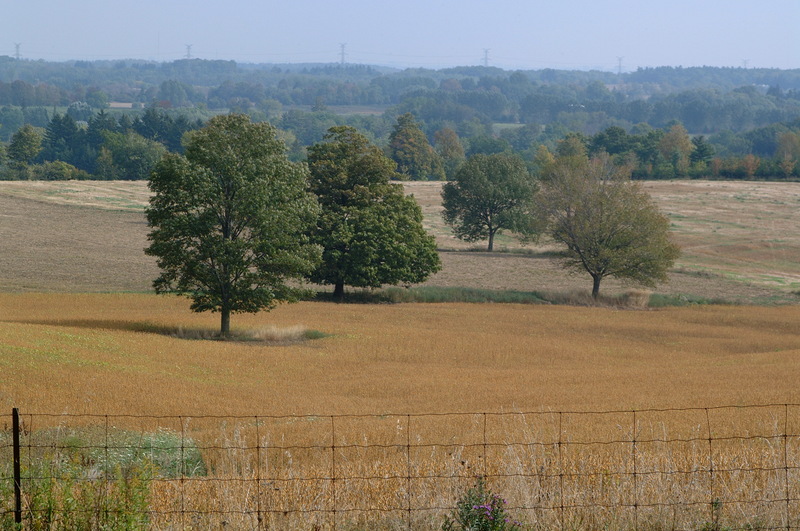 The beauty of the landscape in Halton is a key attraction in our region. 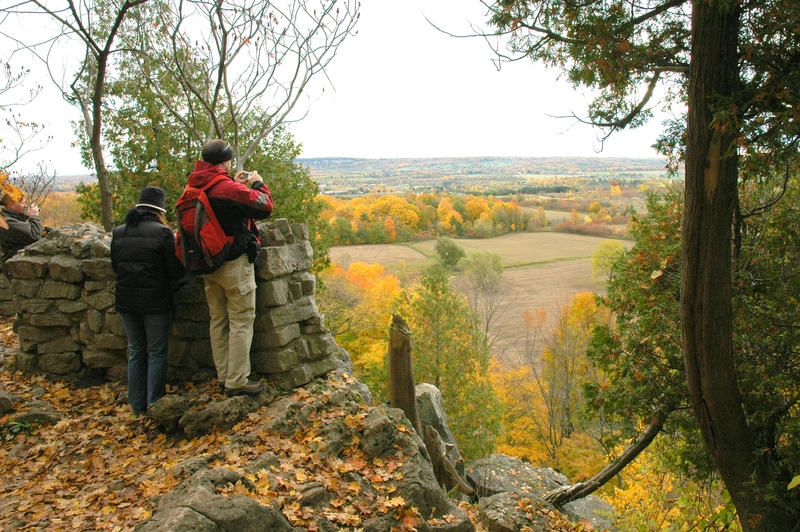 From the lake in the south to the Escarpment running through our community, Halton Region’s Official Plan establishes policies to ensure we protect this natural heritage for generations to come. The success of our waste diversion programs has extended the life of Halton’s landfill to 2044, and therefore saved Halton residents money, since a new landfill would cost close to $1 billion dollars. High participation rates in our waste diversion programs makes our landfill more sustainable which is good for the environment and good for taxpayers. Join me on a walk at Kelso Conservation Area in Milton as I reflect on the importance of planning and sustainability to support and preserve vibrant communities and the natural environment. 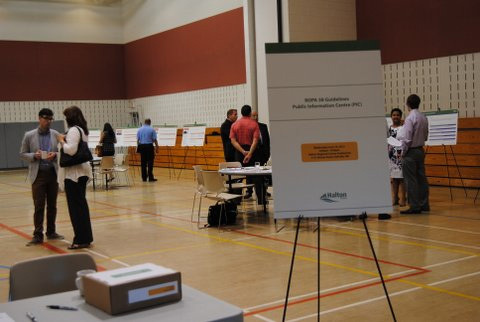 Last night, Halton residents attended a Public Information Centre at the Halton Regional Centre to review, comment on and discuss Halton’s draft Regional Official Plan Amendment No. 38 (ROPA 38) Guidelines. Halton Regional Council unanimously adopted ROPA 38 in 2009. ROPA 38 was the final step in the Sustainable Halton process, which outlines how and where Halton will grow to 2031. Halton’s Regional Official Plan outlines the Region’s approved policy for development and growth. It specifies goals and objectives that Regional Council and Halton’s citizens believe are important. An Official Plan is like a road map, guiding regional and municipal land use planning decisions for growth and development. identify supporting studies or analyses that may be useful in reviewing impacts of new or expanding land uses or facilities. I invite you to take a look at the draft Guidelines and submit your questions or feedback online at www.halton.ca/ROPA38guidelines. The deadline for comments is June 30, 2013. Regional staff will take all comments into consideration when finalizing the Guidelines. It’s no secret that Halton Region is growing quickly. This is especially true in Milton –according to 2011 census figures, at 56.5 per cent, Milton had the largest growth rate of any community between 2006 and 2011 and is Canada’s fastest growing community. 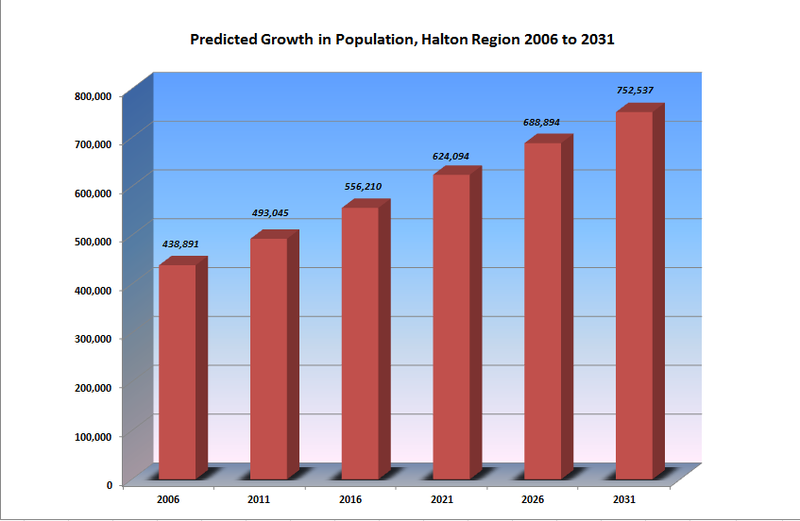 Regional Council does not set growth levels for Halton. The Province, through the Growth Plan for the Greater Golden Horseshoe, establishes growth rates for regions, under legislation contained in the Places to Grow Act. Last November, the Ministry of Infrastructure released a Proposed Amendment No. 2 to the plan. As a Region, we respond to these requirements through our Regional Official Plan, which guides land use planning and aims to balance community needs, economic prosperity and environmental protection with growth requirements. The Regional Official Plan is reviewed on a regularly scheduled basis. We work very closely with our municipal partners on effectively managing growth across the Region. Last month, Regional Council endorsed the Halton Area Planning Partnership’s (HAPP) joint submission in response to Proposed Amendment No. 2. HAPP is made up of senior level planning staff at the Region and all four Local Municipalities. What does Amendment No. 2 do? The amendment proposes to extend the population and employment forecasts for Halton Region from 2031 to 2041. What does Amendment No. 2 not do? The proposed amendment changes the forecasts for 2036 and 2041, but not 2031. Amendment No. 2 also includes transition provisions that that would mean municipalities would not have to produce new official plans ahead of schedule. HAPP believes it is premature to consider Amendment No. 2 for a variety of reasons related to timing of the Growth Plan review, the currency of the data used to calculate the forecasts, and a number of other factors and Council endorses this position. We believe it is premature to shift the planning horizons from 2031 to 2041. Why? There is a 10-year review of Growth Plan policies scheduled for 2016 – any amendments should be considered at that time. Additionally there are a number of other provincial planning policy updates underway, including Greenbelt Policies and the Niagara Escarpment Plan. It would make more sense to consolidate these efforts into a single time window. The amendment uses data from the 2006 Census. The 2011 Census/National Household Survey data should have been used instead since 2006 data do not reflect the 2008 economic downturn. Halton Region is committed to ensuring that Development Charge rates recover the full cost of providing infrastructure to support development and that growth pays for itself to the degree permitted by Provincial legislation. Regional Council is committed to ensuring that existing taxpayers and businesses are not impacted by the costs associated with new residential growth. the Development Charges Act, 1997 should be revised so that municipalities have the tools to ensure full cost recovery for growth related infrastructure. I have advised the Premier of Ontario and the Minister of Infrastructure that Halton Region does not support proposed Amendment No.2. Halton Regional Council believes very strongly that any new growth in Halton must pay for itself. We, with our Local Municipal partners, will continue to advocate to the Provincial and Federal government for capital investments and legislative tools that will enable municipalities like Halton to recover infrastructure costs. 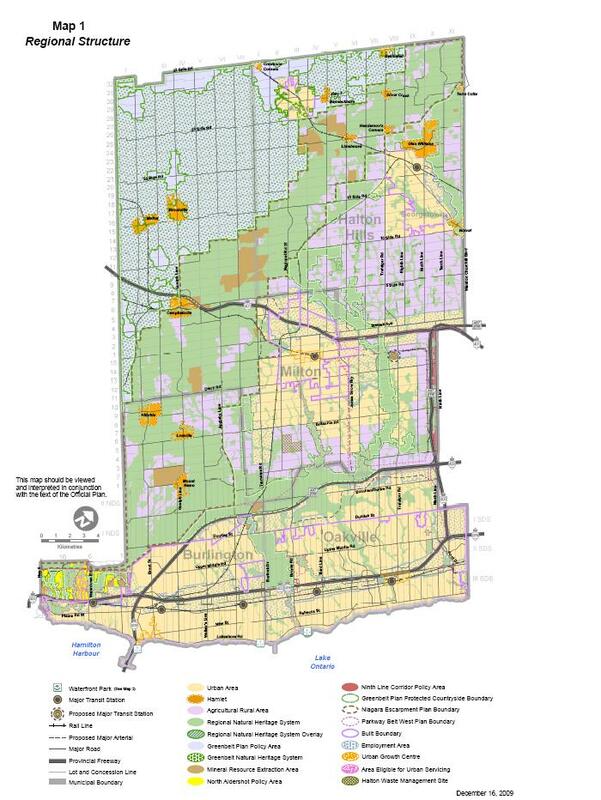 The Regional Official Plan guides land use planning throughout Halton by balancing community needs, economic prosperity and environmental protection. 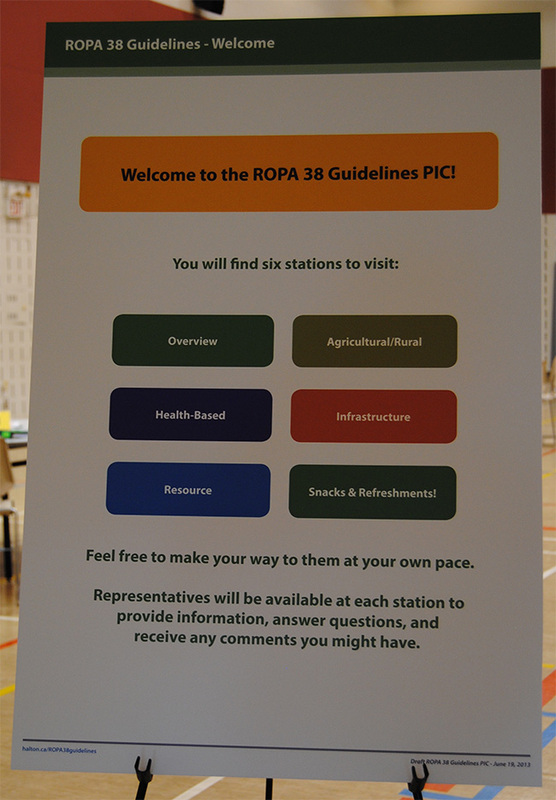 The ROPA 38 process began in 2006 as a response to provincial requirements set out in policy documents such as the Places to Grow Plan, the Greenbelt Plan and the Provincial Policy Statement. ROPA 38 was the final step in the planning strategy known as Sustainable Halton, which outlines how and where Halton will grow until 2031. On December 16, 2009, Halton Regional Council unanimously adopted ROPA 38 and forwarded it to the Ministry of Municipal Affairs and Housing for approval. The Ministry issued its Notice of Decision on November 24, 2011 to approve ROPA 38. Sustainable Halton was one of our biggest public consultation projects. With these new web pages, we are once again inviting members of the public to participate by reviewing these documents online and providing comments. As they are developed throughout the rest of the year, the draft Guidelines will be posted on the site, with feedback forms available for your comments. The online public consultation phase began with the agriculture-themed draft guidelines, which are now online. The remaining draft guidelines will be posted on the website as they are completed in the coming months. Regional staff will take all comments into consideration when finalizing the Guidelines. Later this fall, Planning staff will be releasing a report to the Region’s Inter-Municipal Liaison Committee with a recommendation that Council approve these Guidelines. To learn more, visit www.halton.ca/ropa or dial 311. To be added to a mailing list for updates, email ropa@halton.ca. Let’s continue to work together to build a prosperous and sustainable future in Halton Region. Together we can ensure that Halton remains a great place to live, work, raise a family and retire. In early February, I met with Mayor Rick Goldring of Burlington and the Honourable Rick Bartolucci, Minister of Municipal Affairs and Housing to discuss proposed amendments to the new Halton Region Official Plan. The Official Plan is the Region’s vision and road map to guide and direct growth. The main issue discussed at that meeting was the provincial requirement to include unapproved provincial transportation corridors in the Regional Official Plan. 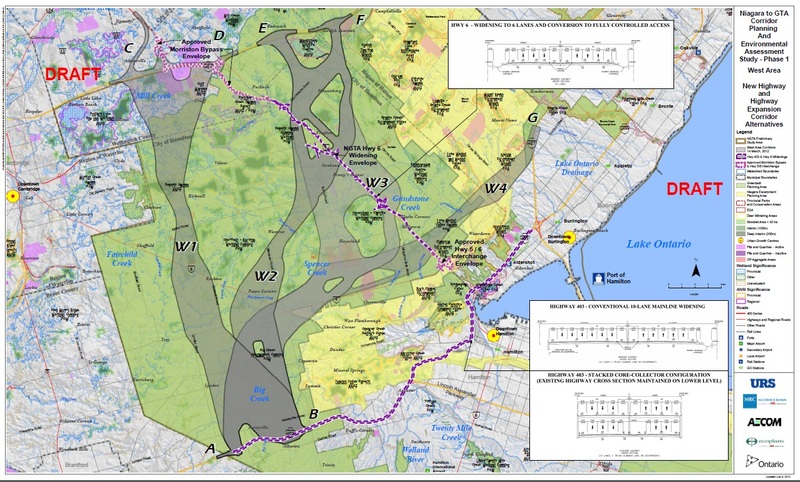 One such corridor was a proposed route for the Niagara to GTA corridor highway. Over the last several months I, along with other members of Regional Council, have listened to the residents of Burlington and the broader Halton community regarding this proposed highway route. Collectively, we voiced our concerns that this road did not belong in our official plan, and that including it would predetermine the findings of future environmental assessments for long term transportation needs in the region. I am pleased to report that the Minister shared our view and, as a result of the discussion with Minister Bartolucci, the highway will not appear in our Official Plan. This decision is encouraging, but it is important that we stay engaged throughout the remainder of the province’s Environmental Assessment process. I would like to thank the Mayor Goldring, Councillors Lancaster and Taylor as well as the numerous community members that voiced their concerns to the Provincial government. Together, we made a difference. I look forward to continuing to work with you all.